This half-ripe strawberry looks very cinematic at night. The garden has a different feeling at night and during the day. 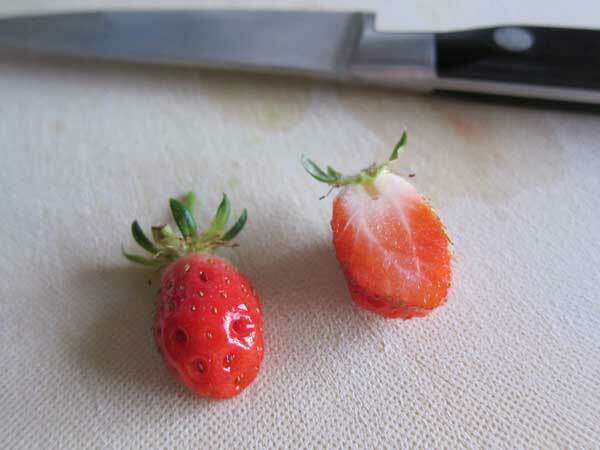 Tiny strawberry cut in two. 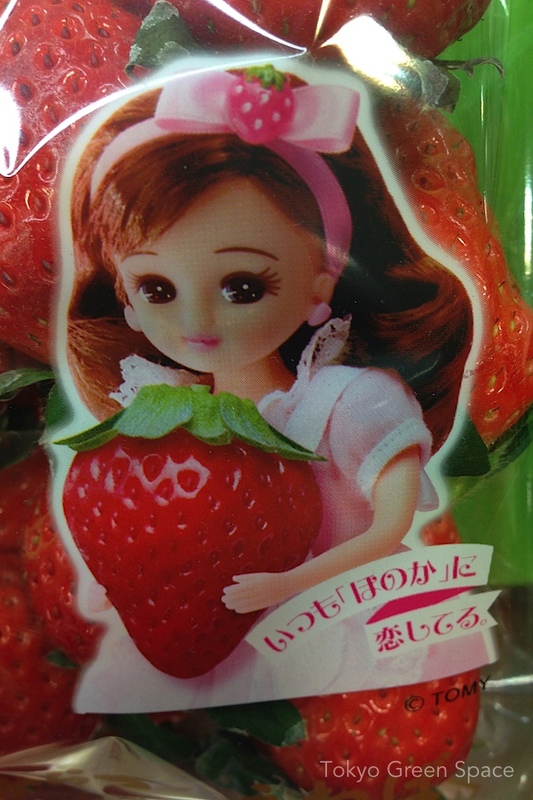 Tasty start to Tokyo balcony strawberry patch. Recently I picked up strawberries from the home center, full of pretty white flowers. They were less than $2 each. 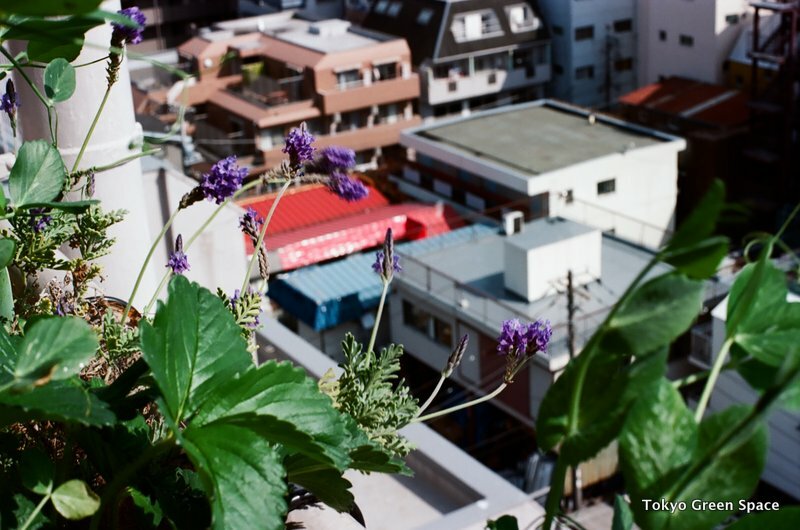 I think it’s very interesting that they’re called “Tokyo strawberries.” In this urban country, it makes sense to develop and target plants, even vegetables, to city growers. The label also boasts, “Pure Berry 2” with a registered trademark. But the biggest promise is strawberries in all four seasons. I am looking forward to my first balcony strawberry!